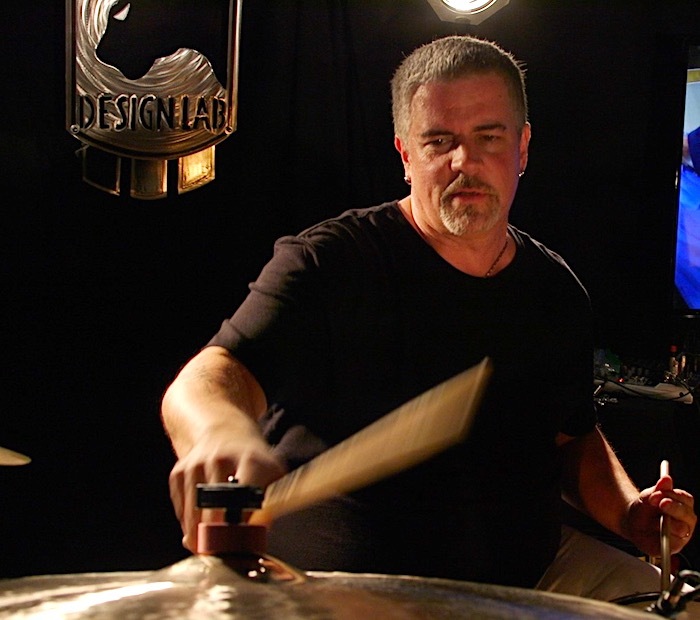 As one of the most in demand studio drummers in Los Angeles, Russ Miller has not only recorded countless albums, TV ads and movies soundtracks, he also has gigged and toured with some of the biggest names in the business: Ray Charles, Natalie Cole, Tina Turner, American Idol, Andrea Bocelli, Steve Perry, Daniel Bedingfield and many, many more. All of this has seen him voted into the Modern Drummer ‘Top 5 Studio Drummers in the World’ more than a handful of times. 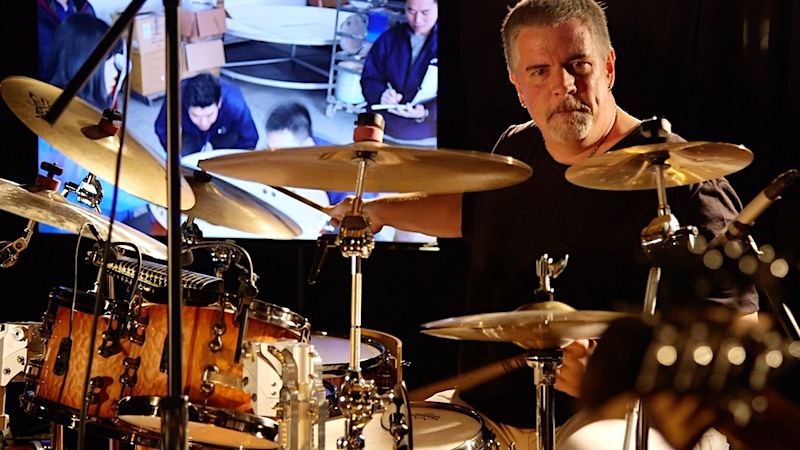 On top of this, Miller’s passion for teaching had him release multiple educational books and DVDs, brought him to the stages of the world’s biggest drum festivals and earned him an honorary professorships in the Beijing and the Shanghai Conservatories of Music. 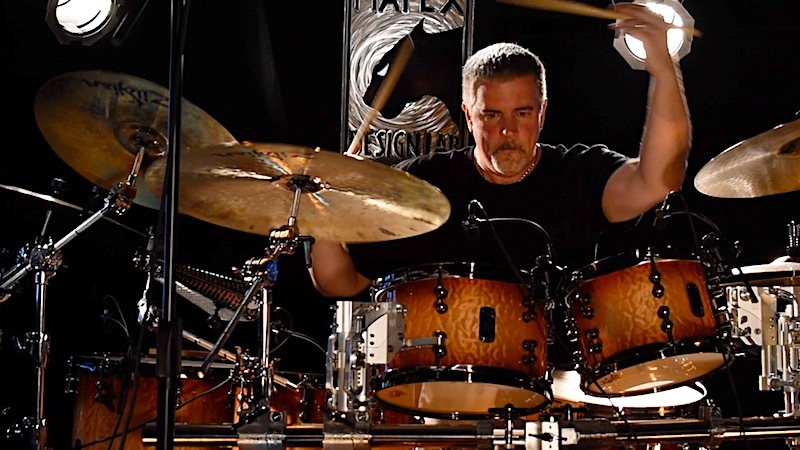 I caught up with Russ at the UK Drum Show to chat about working in different genres of music, his contributions to developing new equipment and the challenges the generation of young drummers face nowadays. You played on well over 300 albums which sold over 26 million copies and you’ve repeatedly been voted into the top five session drummers in the world. What’s the key? [laughs] It was very difficult to get to a point of success in the business where you’re getting called to do sessions, record for movies or whatever, but it’s way more difficult to remain in that position for a long period of time! I’ve been doing this for 25 years. What keeps you there is the same mind set and process that gets you there in the first place, which is the desire to be the best musician possible. Also, to try and continue to grow as a musician and player, with a high level of understanding of all the components of how to play music. To play this way, on any particular instrument and then, translate this instrument to tape. There are a lot of things that I see guys make mistakes with. They might play drums well but they don’t know anything about harmony, melody or what the rest of the band is doing. They have the attitude of “I play the beat, the band can play the song”. That’s not the attitude of the great musicians. They are a major part of every composition they’re involved in. What’s ’50 Ways To Leave Your Lover’ without Gadd? What’s ‘Rosanna’ without Jeff Porcaro? What is any Genesis tune without Phil Collins? Do you know what I mean? At the end of the day though, all I ever wanted to do was play the drums and play music. It was never about money, being famous or having platinum records on the wall. All of those things are just byproducts of the primary skillset. One thing that always stood out about Gadd, Elvin and all of those guys was that it was all just a gig. One gig might be at the Royal Albert Hall, one might be at a pub round the corner, some bring more money, others have more people – they didn’t play any different. It wasn’t like “the gig only pays 50 bucks so I’m not gonna bring all my drums”. That’s not what you’re doing. If you play 8 toms, 3 floor toms and 2 kicks, that’s your instrument. The best example for this is Simon Phillips. When he moved to L.A. a lot of cats started calling him for sessions. He might record a jingle for a cornflakes ad but he brought the whole thing including the Octobans. The engineers obviously weren’t too happy but he took the attitude of, “That’s what I have to say and this is what I say it through”. The approach doesn’t change from one day to the other, just because my car got smaller or the gig pays less. Simon is an extreme example but this connected with me, about “my axe”, as we call it. So to answer your question, obviously there is a high level that you have to play at and then past that there has to be an approach that is unique, a touch and a sound. That’s all bigger than chops or fills and actually way harder to achieve than playing double stroke rolls on your bass drum. That’s a physical thing that really everyone can do if they invest the time. The other stuff takes a lot of experience, situations and a lot of playing. That’s what carries it and makes you unique as a player. You have for example worked with Ray Charles, Andrea Bocelli and Nelly Furtado – or in short: artists from all possible genres. I just like music and I listen to everything. It is true that you’re more employable if you can play more styles but there are two sides to that. 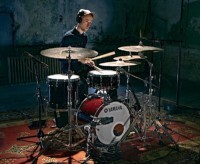 Look at a very “stylised player” like a Keith Carlock for example. He has a very distinct style with his kind of broken 16th-note stuff. Maybe that’s not the most versatile, “session drummer” type attitude but when he finds a situation where it works, it works very well. Of course, it’s not gonna work in every situation. Whereas other players, for example J.R. Robinson or Gregg Bissonette, have a sound and approach to play a very wide range of things. I was always drawn to guys who could translate their approach and sound through a lot of styles. That’s the hard part. Gadd and Vinnie are great examples for that. As soon as you hear the recording, you recognize them and there are two reasons for that: The first is his touch, sound and approach which is extremely unique and difficult. The second part is the documentation level. You heard Gadd thousands of times which makes it easier to recognize him. Now, as I’ve done more stuff, guys come up to me and say they recognized me on a record. I’m still trying to figure out myself where it came from, cause for me it it just how I hear things and approach things, not an effort to create a specific sound. Generally, it’s all about knowing the components of music. I have spent a lot of time studying what’s required of those different styles on this instrument. It could be brushes, playing swing, or whatever. Work on it all and you have the ability to play anything. 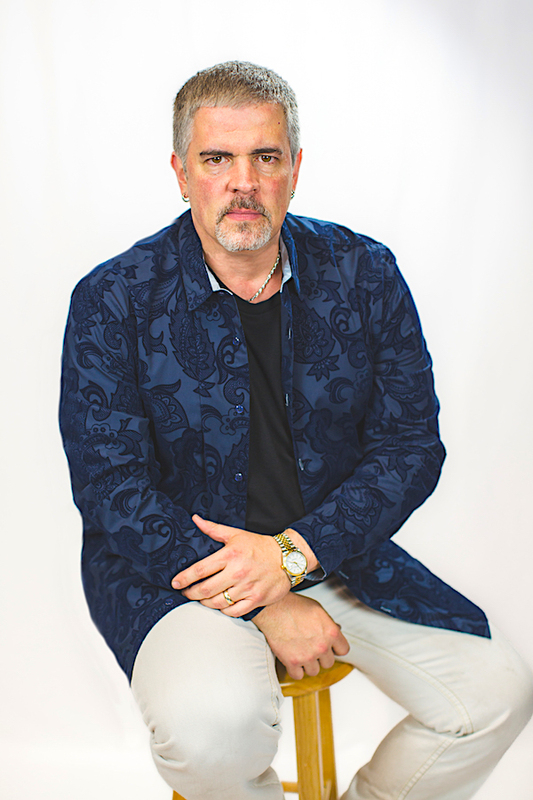 Doing some of the things I’ve done – for example American Idol, house bands at big award shows or movies – it’s all reading and different styles and you just have to be able to execute and be convincing. You mentioned reading. How important is it to be a good reader in your opinion? Unless you have serious reading chops, you’re at home watching TV. That’s just the way it is. A lot of guys always say: “There are a lot of odd times in film scores!”. Yes! They don’t film movies in 4/4. Crazy stuff happens in film scores. You have a piece of music that’s creating an environment and a mood, and then all of a sudden there’s a cut. If it takes a bar of 11/16 to make that cut and then a bar of 5/8 to re-establish it, that’s just what it is. I do love doing movie sessions. But they’re not necessarily fun because there is a lot of pressure. I’ve had sessions where I had four music stands with a 12 page chart and I had to employ my drum tech to turn pages for me. There’s a lot of that. On American Idol they would literally write the arrangement in the hallway and put it on our stands while the cameras are rolling. Recording sessions vs. playing live? It’s very different but I like to do both. The thing about sessions is that there is no immediate reaction to your performance. So you could play the baddest stuff in the world and nobody is gonna clap. That’s where I really prefer to have that immediate reaction seeing people dance, seeing them clap and getting excited. That’s really important. On the other hand the history of this business is in the recording of it. What we know as the history of music is from the recordings. There isn’t really a history in the live playing. It has to be documented. It reminds me of doing a comedy movie, the actors just have to deliver and hope that it translates to the viewer, there isn’t anybody to laugh on set! A big problem in the industry is that this generation of people, assemble performances on record rather than capturing them. That’s a big difference. When I grew up doing records on 2-inch tape with great producers and artists it was all about capturing that moment. Think back to the great recordings where you get the feeling of listening to that person’s performance of a piece. Nowadays you hear a manufactured assembly of a song. I’ve done sessions with younger producers in the past couple of years where I would play the song: intro, verse and I’m just about to go into the chorus when they stop the take saying: “Ok, we’ve got that. Let’s move on to the chorus”. Well, I was moving on – why would you stop that? It doesn’t even occur to them to play the song from top to bottom. Let’s capture the performance! If we get it 100% – great. If we get 98% – fine, let’s punch in here and there. If we get 75% – let’s re-do it. Another thing, I really hate is when I cut a track and the producer moves fills around. There was an intention to that fill, that might have had nothing to do with the section it ended up in. I find that a very immature understanding of music. I even had guys come up to me telling me, I sounded great on a record that I didn’t remember playing on. I would later find out that the producer had taken all these tracks I did for him and used them on this other record. They filed the contracts and I got paid for it but it’s still weird. I was making a statement about THIS song, I don’t even know the song you then used it for. It’s just part of the new technology. You produce quite a lot yourself too. Yes. I think all of that started with doing all these instructional DVDs for Warner Brothers, Alfred and Hudson back in the days. We would be producing the sessions and the music that I would play along with and it all went from there. I’ve been around the biggest producers and engineers in the world, you learn a lot from that. As long as you make an artist feel good and comfortable it’s easy for them to sing. I also produced all my solo albums over the years (I think there are 6 or 7 now – I actually have a new one coming). That’s of course is producing, writing and all that. Over the years I also got a lot of writer credits on movies that I brought in to play on but the composer just asked me to do a whole cue – or maybe the cue was just drums and percussion anyway. Let’s talk about your set up. You position your toms in a kind of slope. How did that develop? I play traditional and it feels more natural like that. Part of that was studying with Freddie Gruber and Jim Chapin over the years. I feel that you get a better touch and better sound if you’re technique is at a higher level and you have an understanding of the mechanics in the movement. The guys who’s playing I loved, were always very fluent and made it look pretty and easy. 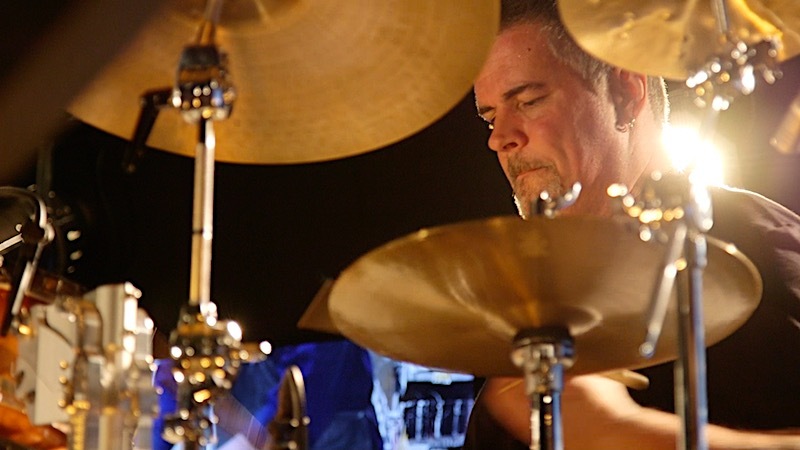 For example Steve Smith, Dave Weckl, Vinnie and Gadd. There are other guys who sound great but you just think “I don’t like the way that looks”. That was never my thing. When I was studying with Freddie he discussed the fact that it was a lot like golf. If you try to hit the ball, it will never work. The ball is in the path of the stroke. The stroke is a big semi circle and if that’s executed correctly and smoothly and the ball is in the path of it, the ball will take off like a rocket. If there is an end to that motion halfway through, that’s when it starts to get stiff and there is a different touch to it. For me there is a circle in the stroke and everything happens within that circle (for example a whole jazz ride cymbal phrase). The stroke is always ending at the very surface of the instrument. It’s not ending 2 or 6 inches below. You see some guys hitting the instrument as if it was mounted 6 inches lower. The stroke needs to end right at the surface, so you put that instrument in motion and you allow it to create the most sound possible. The more you play ‘through’ it, the worse it sounds because you’re choking it. I’ve seen guys who stop the stroke literally every time they hit the snare drum. That just doesn’t sound good and it’s actually really bad for your hands. You won’t last long. I know some guys who had to have multiple surgeries because of that. Your bones and joints aren’t made for slapping something as hard as you can, 500 times a day for 20 years. So yes, the slope has developed over the years to accommodate for that more fluent playing and touch development. You’ve been involved in the Groove-Wedge, the Yamaha Subkick, the new Mapex/ May MAATS tom mounts – have you always been a bit of a gear head? Gear head?? Yeah! We were trying to figure it out the other day: I’ve done 90 products with 13 companies. That’s a lot. 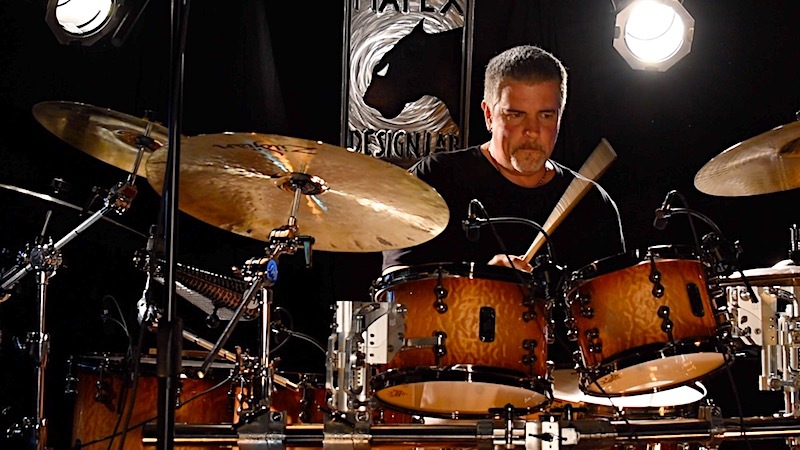 A lot of them, like the Subkick, the Wedges, the Meinl Multi-Bell or the sticks, brushes were signature products with my name on it, but a lot of stuff I’ve been involved in, doesn’t. have my name on it. 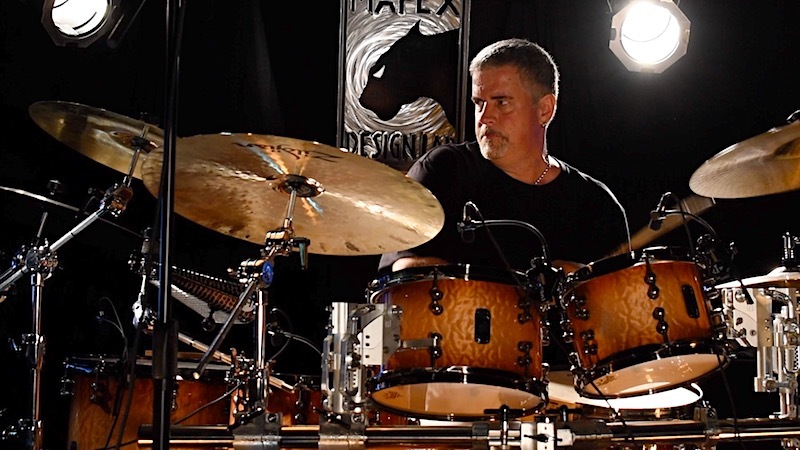 People maybe don’t know I’ve been involved in the Yamaha mounts, most of the DTX electronics, all the Mapex lines, Zildjian brushes and so on. There are two reasons for all this. First, because of all the experience with sounds in the studio, I think I’m very conscious about what’s working and what’s effective. The Groove- Wedge is a perfect example for that. What that does to the sonics of a cross stick, is it cuts through better, it creates a deeper sound, so it’s out of the range of the backbeat. The other thing was, my passion for cabinet making. I actually took architectural and mechanical engineering just for a hobby. I never meant to make any money from it or looked for a job in the field but it came in very handy. 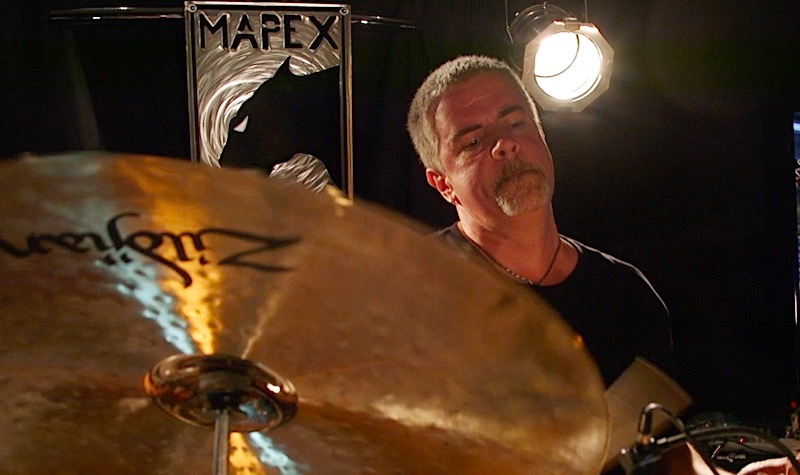 For Mapex for example, I literally draw some of the mechanical drawings and give it to the design team. At the end of the day it’s really just me working as a drummer and thinking: I wish I had something that did this! Luckily I’ve been afforded the opportunity to tell companies they should make this or that. Hopefully, you can sell it but maybe it’s just for me! That’s it. I think that’s why all these products have been successful. There was no attempt like “Oh, I want to make a signature bla bla bla”. A lot of guys go at it the wrong way. They just want a signature product. Well, what is it? What’s the design? Give me a reason why it should be made. I think the best instruments are the ones where there was an idea and a design behind it. It’s just like a player. You’ve brought out books, you hold clinics and you run an online school. Has education always been a passion? It has, yeah. I’ve always loved doing that. Steve Smith and I have talked about this a lot: I believe that anybody who has reached a certain level of experience and proficiency (or whatever you want to call it) in a field, their responsibility is to give back information. If Elvin, Gadd, Roy, Weckl, Steve and all those guys didn’t do that to me, I wouldn’t be sitting here. It’s our responsibility. We talked about records and movies – there is a narrow field of an amount of guys that get to do that and it’s gonna get even more narrow, if we don’t share. I’m not scared about loosing out on anything. We talked about having a voice and a sound – that takes away all the stress of “Oh, Tobias is gonna move to L.A. and take all my gigs!”. No, he’s gonna take ‘a drummers’ gig, he’s not gonna take “Russ Miller’s gig”. You actually wrote a great article about this for Modern Drummer titled ‘The responsibility is ours’. I urge everyone to read that. Oh thank you! I took over that column from Roy Burns in 2014. Roy had done the concepts column for twenty-some years. I remember reading it as a kid, so I was really taken aback when they asked me to take over. After writing the first one, Roy called me and said “Man, I couldn’t ask for anybody better to do that”. That meant a lot to me. Roy was actually my first drum clinic when I was 11 years old. I will never forget it: He brought the hi hat to the front of the stage and played Max Roach’s Mr. Hi Hat and it killed me. Those are the moments where you notice that something is translating bigger and deeper than all this other stuff. This is guy is making a big statement musically and drumming-wise with just a hi hat. All these other cats have 25 cymbals and 50 toms. I like that too but it has to be for the right reasons. Roy killed me because it made me understand that my understanding of music and playing is always bigger and deeper than all this other gear stuff and it will translate 100% of the time. That’s also the difference between clinicians and guys who work in the music business. The reality is that music transcends all that stuff because it communicates with people and it creates a feeling and an emotion. The drums can’t do that on their own because they’re missing components like harmony, melody and all those kind of things. So when you’re a clinician what happens is that you rely on a bag of tricks that maybe people haven’t seen before. Fine, that’s great. Some of them are awesome and blow your mind. But how many times can you see that? It ends up being like going to the circus: it’s freaking amazing but after you’ve seen it three times, you don’t want to see it anymore. If Gadd rolls through with Clapton or Paul Simon, I’ll go every time – because there is gonna be a mood, a moment, an environment and the music is gonna create something that is gonna effect you differently, every time even if they play the same songs. I still wanna see that. That’s a big lesson for people’s understanding of being in this business and what direction they should work in. It’s hard to weed through the mud that’s out there nowadays. This generation has a real challenge of trying to figure out what’s BS and what’s truth, because there is no filter for BS on YouTube. There should be but its impossible. You look on there and you see people who have a bunch of views for whatever reason. Maybe they’re handsome, maybe they look good, maybe they have a set “of tots”… I don’t know. I get it but at the end of the day you can have a kid picking his dogs nose and you get a lot of views. That has no relevance. I don’t know man, maybe I’m getting old… [laughs]. When I played the halftime show at the Pro Bowl, we had 85 million views in 3 minutes because everyone is watching it on TV; When I played on American Idol we had 30 million views every night. I rather collect views like that! It means I’m working in the business. Look, I get the marketing aspect but it should be about delivery of a performance, not collecting admiration. Well, I’m finishing the new lines for Mapex, the “Black Panther Design Lab”. Also, prepping some designs for NAMM. I’ve started working on my new solo album called “Mind, Body and Soul”. It’s a three-movement piece that features three trios. The first is the Arrival trio that we’ve done several albums for. The second is Tony Monaco (the great B3 player), the great Ernie Watts and I. And then, Kirk Covington (on B3, vocals and some drums/percussion) , Pee Wee Hill (from Rufus) is on bass. It’s a big project and will come out in the Summer. I’m still touring with Andrea Bocelli, Kavita Kurishnamurthy (Indian Superstar) and Arrival. Got three new movies starting in January after NAMM and I’m finishing filming all of the Remo Drum heads Promotional videos at the end of December. These are displaying all of the head lines and how they make the drums sound and play differently. It’s very cool! Anyway, still pluggin’ along after all these years! I’m just blessed to do this for a living and love going to work everyday. Thanks a lot for your time Russ!